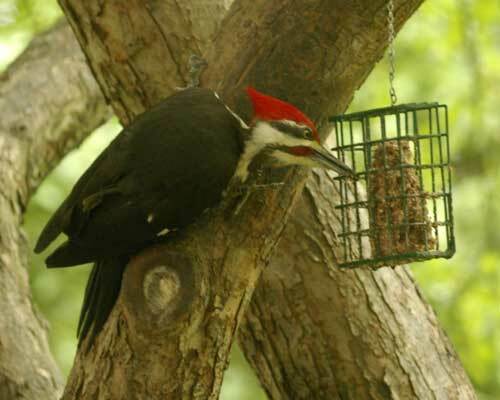 A friend of ours commented that pileated woodpeckers go for suet, but this was the first time that I seen any eating suet at our feeder. 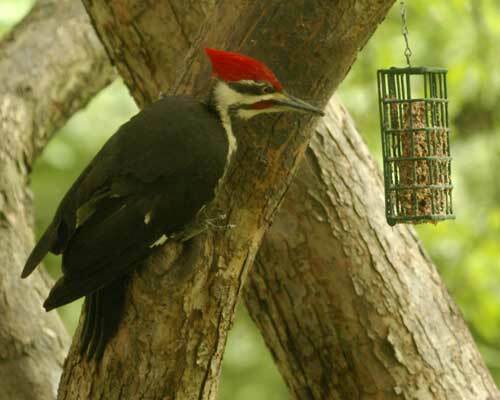 After a brief inspection, which showed the pileated was already familiar with the suet placement, he began eating. Soon thereafter, a male red-bellied woodpecker arrived. He landed lower down on the tree. After a moment's thought, he hopped up to the other side of the suet. 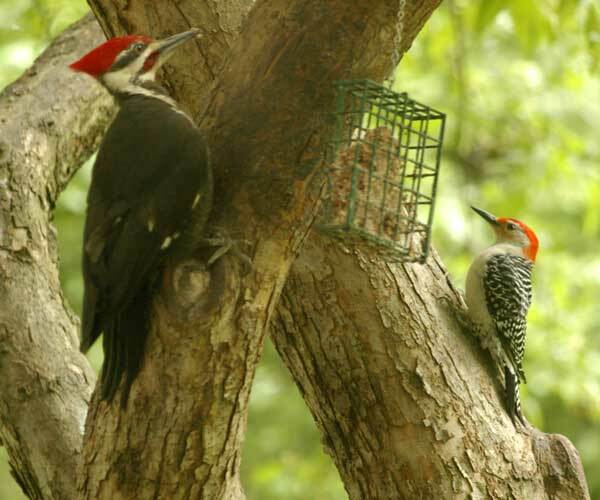 For a few minutes the pileated and red-bellied shared space and suet. Photo note: I used a Pentax *ist D, with the SMC-A* 200mm macro lens for these photos, which were taken in May 2006. These were large images, each reduced to 33 percent (after cropping).